As part of our efforts to help humanity we would like to find out if our readers have a healthy sense of Self (or what is more commonly referred to as self-esteem). In fact, what is commonly known as low (unhealthy) self-esteem is the root cause of the majority of problems in the world today and is also a serious “mental illness.” A lot of people don’t realise this! It has also been said that around 85% of people today have an unhealthy “sense of Self” to some degree due to mental, social, physical, emotional, domestic and spiritual reasons. It can also be seen as a damaged/wounded/scarred ego (self or personality). This is because personality/self (with a small “s”) and ego mean the same thing. With that said, we would like to ask you to take this simple assessment (test) and submit your score in the survey box below. And don’t worry, it is completely anonymous—no-one will know who you are. The reason we are using this assessment is that it is more clinical and descriptive than most of the self-esteem questionnaires/tests/assessments out there. We want to collect data for a set of articles that will help millions, if not billions, of people (holistically) with this problem. (See more below). Many thanks in advance for taking the test and submitting your score. Please note: If you are submitting your result on a mobile phone or tablet you may have to scroll back up again to press the submit button. You may also need to turn your phone on to landscape view. This is how people are currently scoring in the Sorensen Self-Esteem Test. Please note: It is also likely that a few of the people who came out as healthy are either lying to themselves (which is very common) or did not input the survey correctly. Again, what is the purpose of this survey? Well, there will be a 6-8 part series of articles on how a lack of healthy self-esteem is the root cause of nearly all, if not all, problems in the world today, and how to improve it holistically. How self-esteem, self-love, self-compassion, self-confidence, self-belief, self-worth, self-image and self-assurance are all interlinked. How it is related to the whole Chakra system. How it is a gift for spiritual growth. How so many people are wrong about it. How it is not just a mental problem – as most psychologists, self-development gurus and life coaches think – but a physical and spiritual problem too. People who lack self-esteem are more ‘toxic’, for the most part. In general, they are; abrasive, tactless, nit-picky, controlling, argumentative, bitchy, think they know everything, perfectionists, obnoxious, hypersensitive, nasty piss-takers, bullies, create and attract drama/chaos, work in positions of power for the sake of power, depressive, needy (co-dependent), reactive, domineering, lacking in compassion, aggressive, manipulative, have chronic addictions, closed-minded, judgmental, rigid, passive, passive-aggressive, chronically insecure, suffer from jealousy, always anxious, generally negative, critical, overachievers or underachievers (lack “balance”), etc. They also tend not to take care of themselves physically (consistently), which is why so many people are overweight, sick, unhealthy, and die from diseases (barring any genetic disorders and, of course, mis-information). This also doesn’t mean we have to live like monks. Low self-esteem basically manifests itself differently from one person to the next. This is a fact! A lot of people with this problem wear a mask of “confidence.” But it is not about confidence. Everyone is confident about something. That is external. Not being gifted with physical good looks and not being able to accept it. (Beauty in the eye of the beholder is not entirely true). Being out of shape and/or having an average looking body. Being born with a certain condition and/or deformity and not being able to accept it. Just having an unhealthy body that is run down, and internally weak and vulnerable. Being brought up in a disempowering, dogmatic religion. 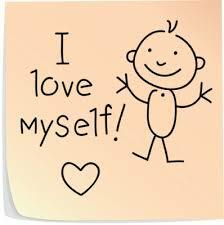 In short, lack of self-esteem is a prevalent, world-wide problem – it is said that up to 85% of people suffer from it. So many people have said to me that we all have “dips”, but the fact of the matter is that if, for example, people have (unconscious) unresolved conditioning problems from childhood and a body that they don’t like being in (from the neck up and down), then their self-esteem is compromised forever. ← UFOs: is this the best evidence? Read all of the Matrix books by Valdamar Valerian here for free!